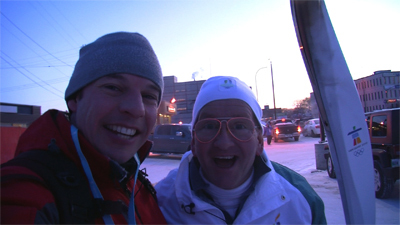 Eddie “The Eagle” Edwards runs with the Olympic Torch in Winnipeg Styling his Original ’88 glasses! 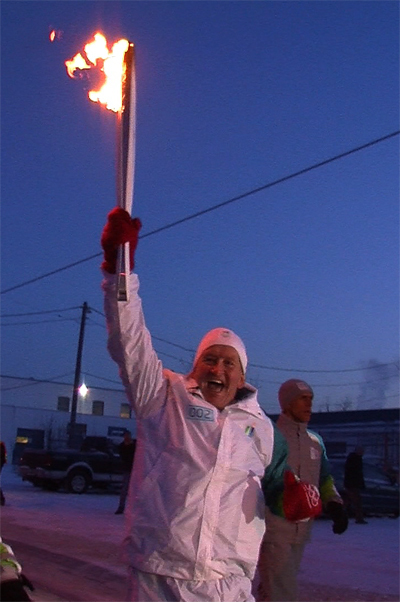 Eddie “The Eagle” Edwards ran with the Olympic Torch today (day 70) in Winnipeg! Even though it was -36, that was not going to stop the British ski jumper who captured the hearts of Canadians during the 1988 Calgary Olympics! What a dude. I love watching the old videos of his jumps in 88. There’s going to be an Eddie the Eagle film soon too, so his lovable loser legacy will be getting another boost in the not too distant future.